When it comes to functionality in your bathroom, your vanity is a central aspect to your needs. 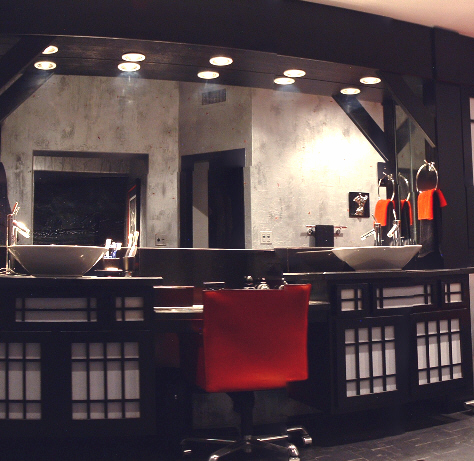 Chermac Builders offers the widest variety of vanity options to get you the style and function you want. With an incredible variety of options from basins to counter top materials, to cabinetry and fixtures, you need an experienced team of home builders and remodeling contractors to achieve optimal results. The material of sinks to install in your bathroom vanity is just the beginning. We consider your storage and accessibility needs, as well as your style and decor in building and remodeling each bathroom in your home. Your options are endless, whether you want a small vanity or a wall to wall design, Chermac Builders will help your dream bathroom come to life. Your bathroom vanity is the first essential step in creating the relaxing, elegant bathroom space you want in your home. Let us take you through the process and get your project completed on time and on budget. Chermac Builders considers your accessibility needs when remodeling and upgrading every aspect of your home. Whether you have a disability or are aging, our vast experience of accessibility remodeling is certain to help you now and in the future. Our goals are safety and helping you maintain your independence. We go above and beyond for our clients, and with our understanding, we can help you address issues you may not even be aware of. Contact us for more information and to get your project started today.